Disposable blue bouffant hair restraint caps from Harmony are comfortable and effective at keeping hair away from work areas. These discount-priced blue hair restraint caps by Keystone also help workers keep hair out of their eyes when working over equipment and work counters. All styles of Keystone blue bouffant caps are double stitched for durability. All are FDA-approved hair restraints. At our deep discount prices, our blue hair restraint caps are the go-to choice for food processing and back kitchen workplaces. Choose lightweight, 100 percent non-woven polypropylene hair caps for your pharmaceutical manufacturing, nursing home, food processing or factory staff. Choose regular, pleated or specialty low-lint blue bouffant caps. 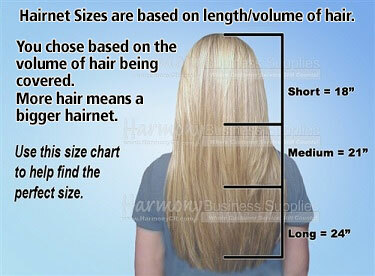 Use our bouffant size chart to select the right sizes for men and women. Latex-free elastic headbands are comfortable, and they won't cause allergic reactions. Keystone's three-layer SMS blue bouffant caps are made to resist tears, rips and punctures. These heavy-duty hair bouffant caps repel liquids, too.